Lokad is powered by cloud computing and matches the state-of-the-art technology expectations of modern ecommerce businesses. For many online merchants, Lokad offers the possibility to get started in minutes, literally, through our built-in native data connectors. Our quantile forecasting technology is specifically tailored to deal with intermittent demand and the long tail in general. On top of that, our solution offers programmatic extensibility. No scenario is too specific for us, and Lokad can optimize hybrid drop-shipping strategies or accommodate complex cash flow constraints, among other issues. One of the strategic benefits of being an online merchant relates to drastically reducing all the infrastructure expenses compared to brick-and-mortar retail. Lokad operates under a very lean process. Thanks to native support for multiple third party apps that are very popular among the online merchant community, Lokad can be setup in a just a few clicks. Lokad will take care of importing all the relevant data automatically, without any effort on your end. In addition, our forecasting technology itself has been designed to be fully autonomous. Unlike classic forecasting solutions that require the end-user to “tune” and adjust hundreds of cryptic forecasting parameters, our Forecasting Engine requires zero statistical configuration. Not only does this entirely remove the need for statistical skill, but it also completely eliminates the burden of ongoing maintenance of the forecasting solution. Lokad has a unique forecasting technology that leverages correlations between products. Indeed, in ecommerce, the amount of historical data associated with each product is often too thin to be of statistical significance. Fortunately, since hundreds, if not thousands, of or products are being sold by any ecommerce business, Lokad is able to leverage correlations between all of these products, and can therefore entirely skip the need to “tune” the forecasting models. The first years of Lokad’s existence made us realize how deeply inadequate the usual forecasting software for ecommerce really was. Indeed, classic forecasting methodologies implicitly rely on assumptions about sales volumes that are simply never met in ecommerce, where very few products – sometimes none - are sold more than 10x per day. We developed a unique quantile forecasting technology that can effectively optimize, through demand forecasting, products that are sold as infrequently as only a few times per year. Instead of restricting inventory forecasting to “A” items (as in ABC inventory), Lokad covers your entire catalog, no matter how erratic or sparse your sales. Intuitively, this feat is achieved by reframing inventory forecasting issues in a way that is a lot more suitable for online commerce. Instead of answering the question: “how many units will be sold on day X?” where no satisfying answer can be given because of irreducible uncertainty, Lokad helps to answer the question “how many units do I need to keep in stock to serve 95% of the orders?” which can be answered very accurately even for long tail products. Lokad offers APIs (Application Programming Interfaces) to let you automate all the behaviors as you see fit. 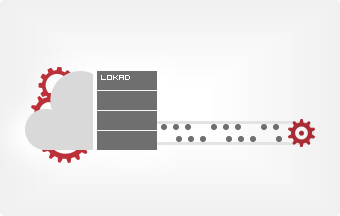 No data is buried within Lokad, and everything can be retrieved as flat files through SFTP, FTP or FTPS. Even if you are not a software engineer yourself, at some point, your business will need to go one step further in its automation. 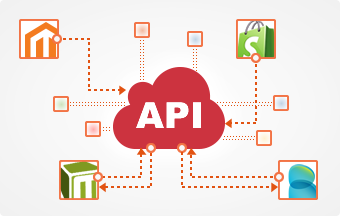 At this point, the availability of APIs will make a huge difference when choosing between the apps, like Lokad, where everything can be automated, and the apps that require an irreducible amount of manpower. In addition, state-of-the-art apps do not merely offer configuration capabilities, but also programmatic extensibility, that is the possibility to allow the application to execute arbitrarily complex operations through a program composed within the application itself. Through the scripting engine of Lokad, your business gains the possibility to compose any complex calculation on top of the inventory forecasting results generated by Lokad. Programmatic extensibility is a critical feature for online merchants in order to preserve the sanity of your IT staff. Indeed, inventory optimization typically involves a myriad of smaller twists to really fit any given business model. For example drop-shipping may require ongoing adjustments on the scope of products to be stocked. 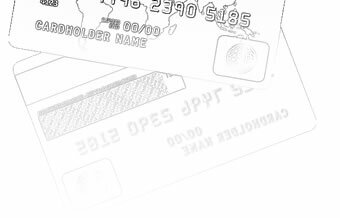 Also, cash flow optimization may give a strong incentive to order more from certain suppliers depending on their payment terms. Such scenarios can be handled through scripts executed within Lokad.